blow LTD is the UK’s leader in beauty services on demand. You can simply and easily book blow dries, makeup, nails, lashes and other services to your home, hotel or event. They also have their beauty bars situated in London and Manchester, which you can visit. Blow hand-pick, test and make sure all their beauty professionals are fully vetted, so you can relax knowing you’re in the very best hands and will come out looking your best. Customer service is the cornerstone of Blow Ltd and they are on the search for an amazing Customer Experience Representative to join their busy and friendly Customer Experience team in Farringdon. They are after a self-starter who demonstrates excellent customer service experience across both email & phone. 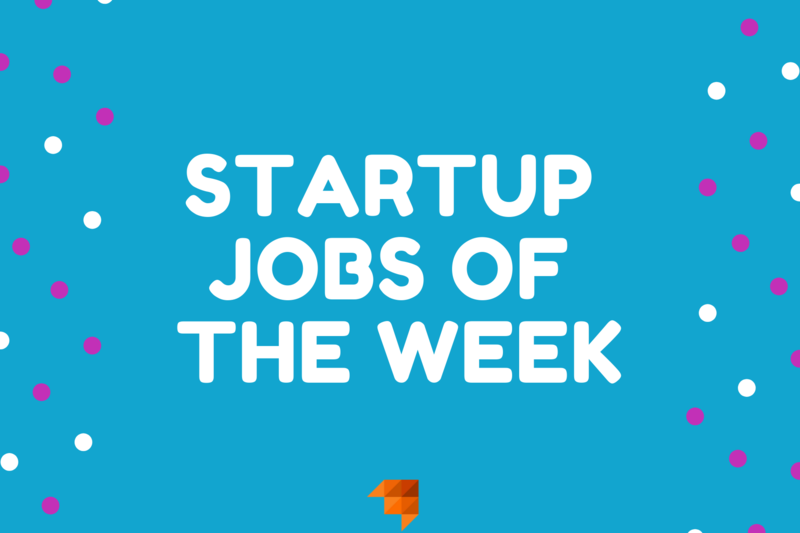 If you’re willing to get stuck into the exciting startup life and are a team player, who would love to make a real impact at a fast growing start up (and enjoy their prosecco Fridays) – then this role could be for you! The Sole Supplier were established in 2013, with a mission to answer a problem that many 18-30 year olds have – where can they find the latest, most exclusive trainers? They are now Europe’s leading destination for sneakers and lifestyle, serving over 2 million users per month. They are looking for a Senior PR Manager, who specialises in digital PR to join the team in their South East London office. They want someone who will be happy to use their full creative flexibility to carve their own path and decide on the best PR strategy, by using their expertise and contacts to elevate the brand. If you have 5+ years under your belt and are motivated to help communicate The Sole Suppliers vision to people worldwide, then this could be something worth looking into further! Mercaux is an in-store B2B SaaS In-Store Platform that aims to transform offline retail and help traditional retailers smoothly transition into digital era. They work with clients like Nike, French Connection, Karen Miller, Under Armour and many others. Their platforms, which are live in 0ver 10 countries, enable retailers to transform their shopping experience. Mercaux are looking for a talented Digital Content and Marketing Executive to join their hugely talented and passionate team. This is a demanding, but rewarding role with an opportunity to learn quick in a fast-paced environment! If you are someone who is ambitious and relish the thought of helping to grow and globally expand with a startup, this could be a perfect opportunity for you. Zzish is a system that turns learning apps into day-to-day tools for real-world education. They share a passion for creating a world in which every teacher uses apps in the classroom to transform learning for students everywhere. Their goal is to bridge the gap between technology and the classroom. They have recently raised a new £1.5m funding round and are looking for an Inside Sales Executive to join their talented and enthusiastic team. This is a fantastic chance to thrive and advance your career in a fast growing start up at a pivotal point of their growth. If you’re a confident sales rep, who has exceptional communication and proven achievements in a similar role, this role sounds like it’s what you’re searching for. Read the full job description on our website. Urban Jungle use technology to build a fully digital insurance company for a new generation of customers. By offering their customers better suited products, which are much cheaper, and all sorted in minutes, they have built one of the top rated home insurance providers in the UK. Urban Jungle are looking for a bright, ambitious and forward thinking person to join their growing team as their Partnerships Manager. This is the perfect opportunity to move into a high growth environment, working closely with the senior team on a critical part of the business. If you see yourself as someone who can grow with the role and is not afraid to get involved in a mixture of glamorous and not so glamorous areas that make up an early stage business, then this sounds like a job you should definitely explore further!